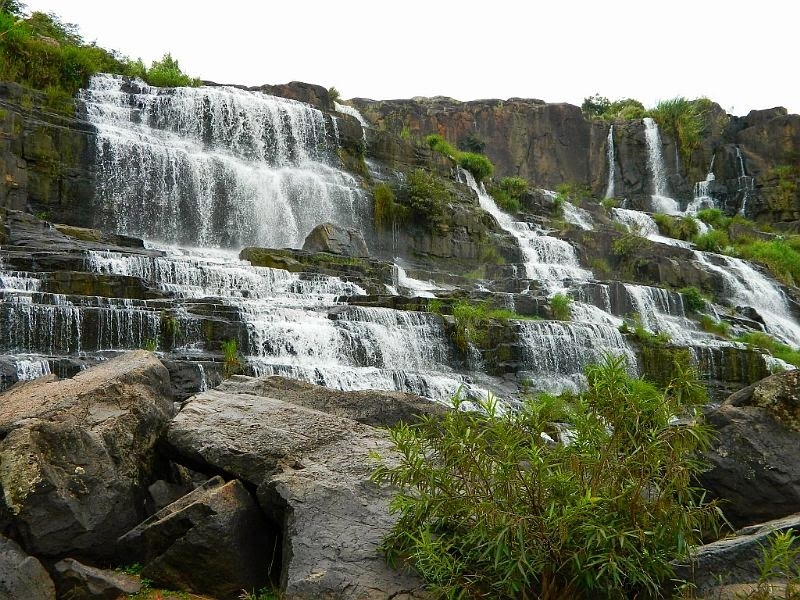 Elephant waterfall in Da Lat has called Lieng Rowoa waterfall in Ban Nam town, Lam Ha, Da Lat. 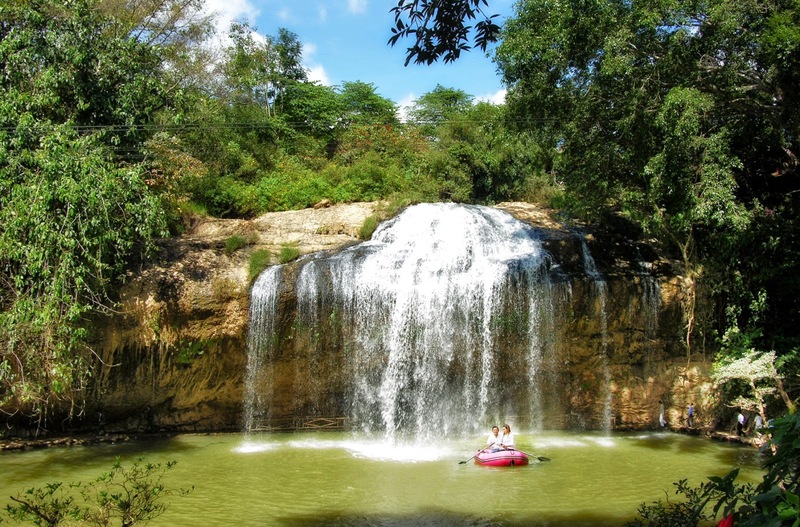 Located in 25km southwest of Da Lat, this is one of the most beautiful waterfalls in Da Lat with a height of over 30m long and 15m wide. Ancients said that in this place there was a mountain chieftain named Joi Bieng. He has a very beautiful daughter. When you saw forest leaves stopped rustling and birds stopped singing, she started to sing. This woman fell in love with a son of a village chieftain and they promised to get married. But things did not happen as expected because he took part in battling. And from the day he went, it took a few seasons. However, he did not return their home. She was sad and found places that previously they had been dating. She sang with the aim of calling her lover to come back. Her voice made B'ling birds touching. They decided to find news and finally they told her that her husband sacrificed. But she could not believe this truth because she loved her husband too much. She continued to sing and sang until there was no longer any strength. She never woke up and turned into a stone. Then elephants nearby also prostrated when they listen to her voice. Suddenly there was a boom that made ​​the mountain being broken up and created a waterfall with white bubbles. Since then this waterfall was called Elephant. It means these elephants prostrated her great love and loyalty. 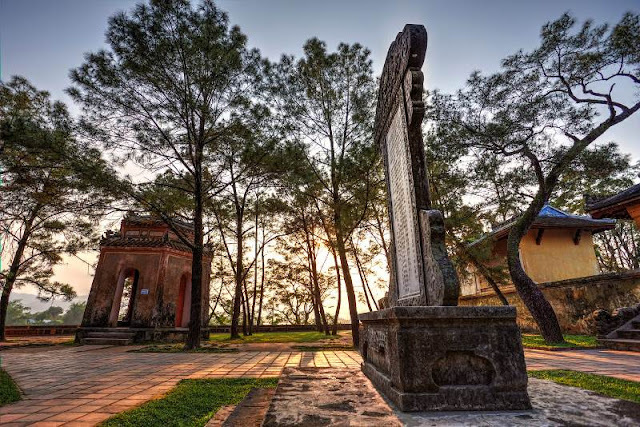 You will regret when you travel to Da Lat but ignore Elephant waterfall with poetic and mysterious beauty. 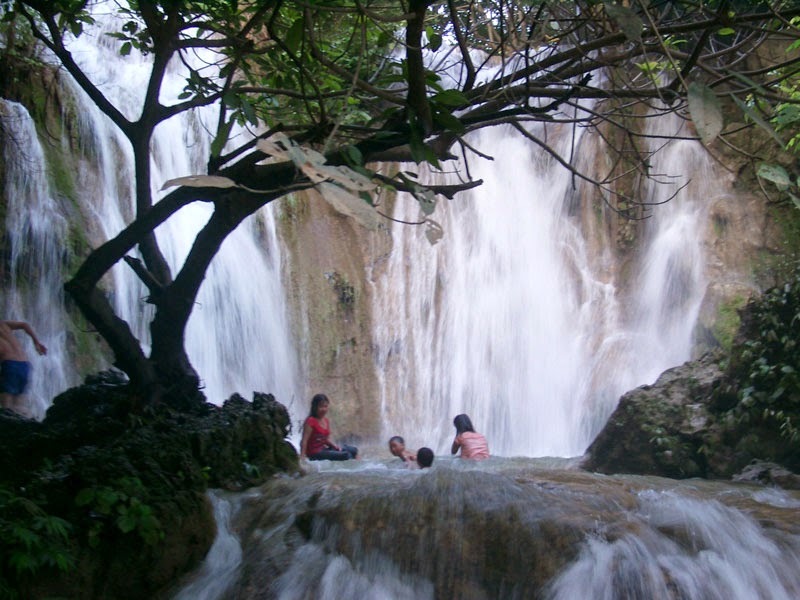 The waterfall is related to the legend of a faithful relationship and has been recognized as a national landscape. With pure streams, everything has looked majestic. In addition to, the reflection of sunlight makes the waterfall like a rainbow. In order to travel to this waterfall, tourists have to climb 145 stairs. They are stairs that connect to cliffs or they are as small wooden bridges. Standing on high and looking down, you will see a great forest with thousands of over 1000 year old trees. Among this forest, there are layers of green trees, yellow flowers and red leaves. All are beautiful. At the foot of this waterfall and in the old forest, some large rocks are in shape of elephants. Thus, the sound of falling waterfall seems to be the sound of a herd of elephants running or playing together. Behind the waterfall there are deep and mysterious caves. They are Bat cave with cliffs having strange shapes and colors, and Wind cave with a very narrow entrance. However, Wind cave is quite large. You can hear the sound of wind very clearly.